Hurricane Sandy has made landfall on the southeastern coast of Cuba and strengthened to a strong Category Two storm, with winds up to 175 kilometers per hour. 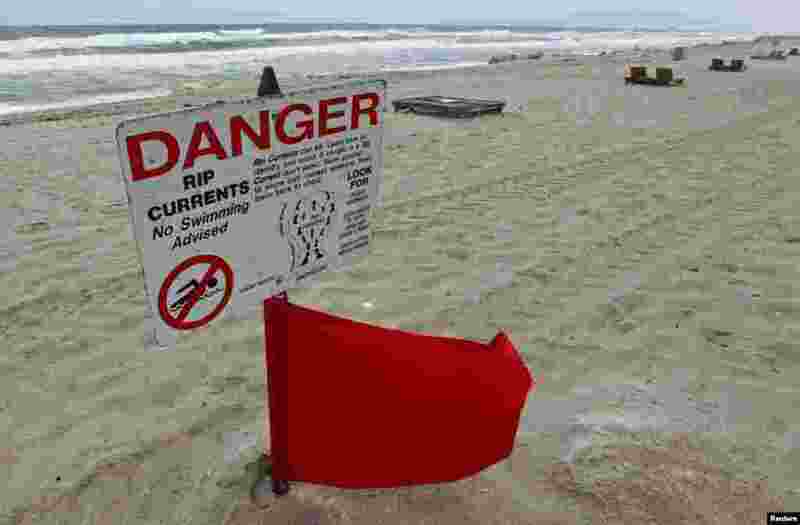 1 A red flag flies after lifeguards closed the area for swimming because of dangerous rip currents, as winds from Hurricane Sandy began to affect weather in Deerfield Beach, Florida, October 25, 2012. 2 A surfer takes advantage of higher waves as winds from Hurricane Sandy began to affect weather in Boca Raton, Florida, October 25, 2012. 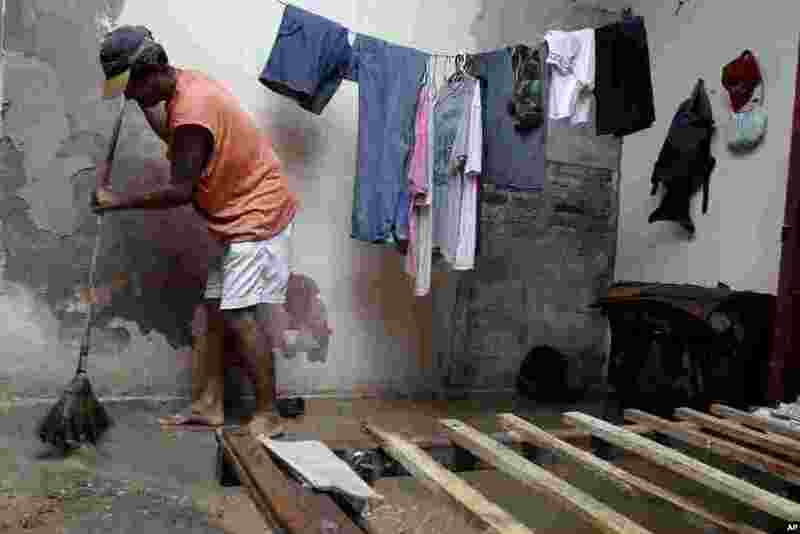 3 Jose Aguilera sweeps his home's floor by his empty bed frame after the passing hurricane Sandy damaged his roof, causing rain to soak his mattress, in Gibara, Cuba, October 25, 2012. 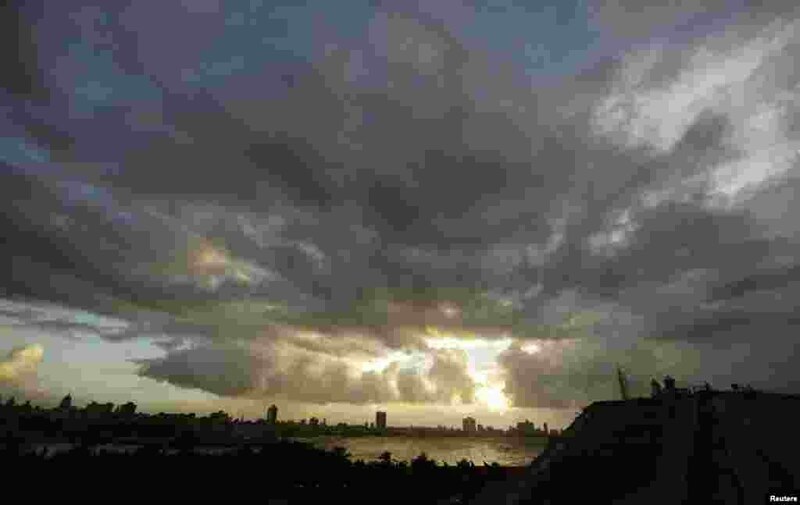 4 Storm clouds fill the sky over Havana, Cuba, October 24, 2012.